Experience over 3,000 square feet of the latest styles and colors of shoes, sportswear and accessories from the best brands. Running, hiking and lifestyle shoes from Asics, Mizuno, New Balance, Brooks, Nike, Merrell, Montrail, Olukai and Vibram Five Fingers. 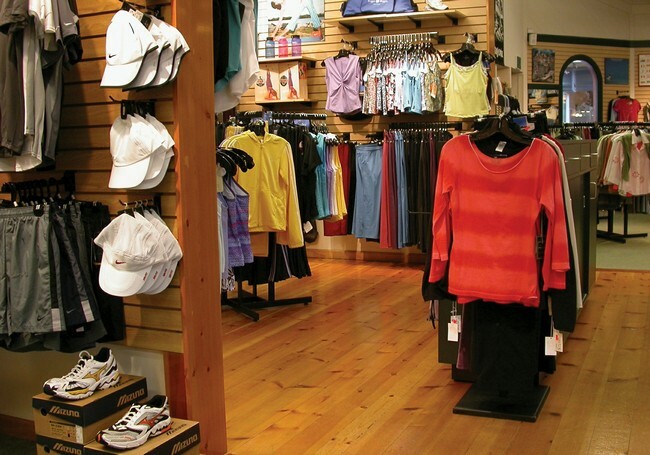 Functional sportswear for running, working out, yoga and outdoor travel from Patagonia, Ex Officio, Moving Comfort, Prana, Calvin Klein Performance, The North Face, Under Armour and lots more!